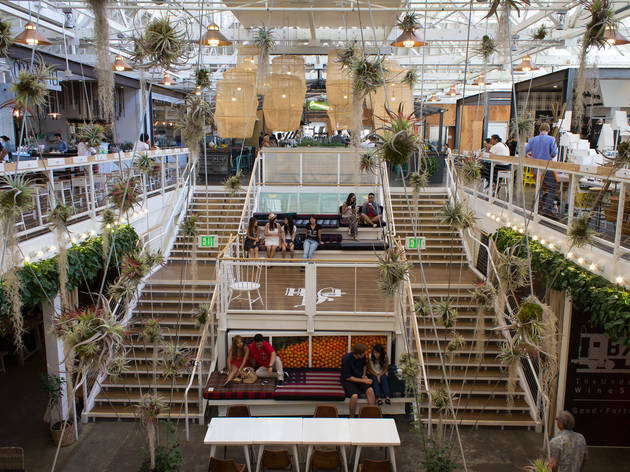 The rise of food halls in Los Angeles and the surrounding area is changing the way we dine. Here are a few of our favorites. A sandwich here, a bowl of ramen there, an ice cream cone to finish—when it comes to piecing together the ultimate meal, sometimes we wish we could pick and choose dishes from our favorite places for the ultimate feast. Thankfully, we’re not the only ones who think so. 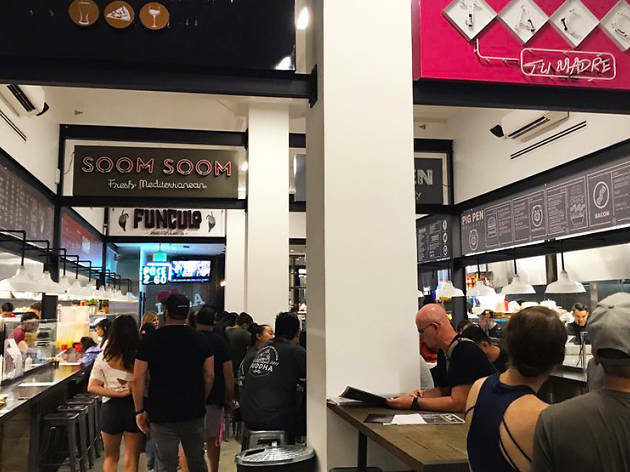 The proliferation of food halls in Los Angeles—as well as Orange County—is a result of diners wanting to create their own perfect meal from different restaurants. 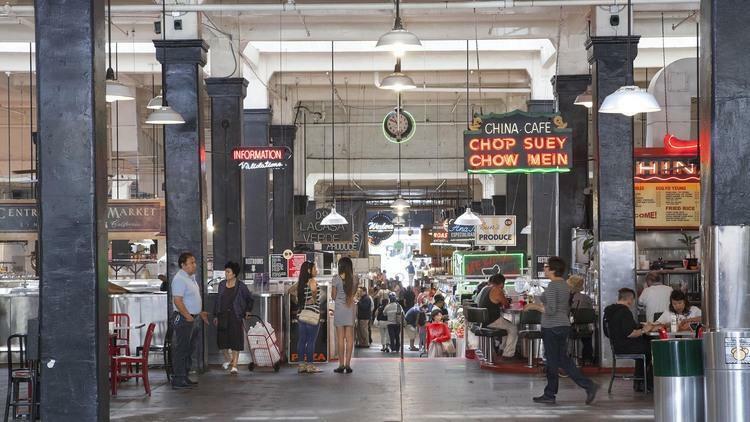 Though food halls have been around for awhile—think: Grand Central Market and the Original Farmers Market—a new crop of foodie havens is making waves. 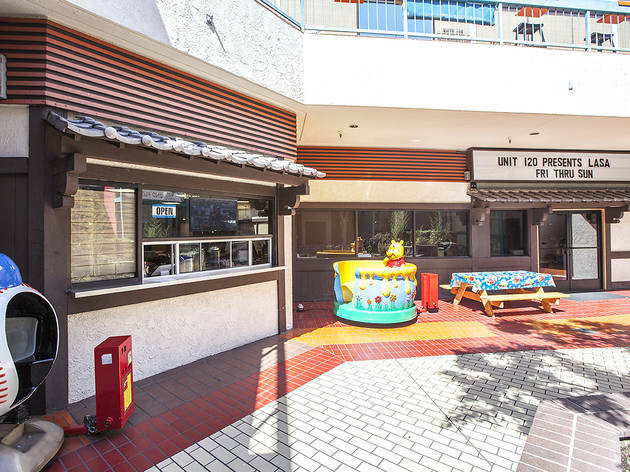 And there’s more on the horizon: The Mess Hall Market in Tustin and Edin Park in Beverly Grove are just a couple places opening in the next year or so. For now, check out our guide to our favorite food halls in Los Angeles and Orange County—and start crafting your own personalized dining experience. 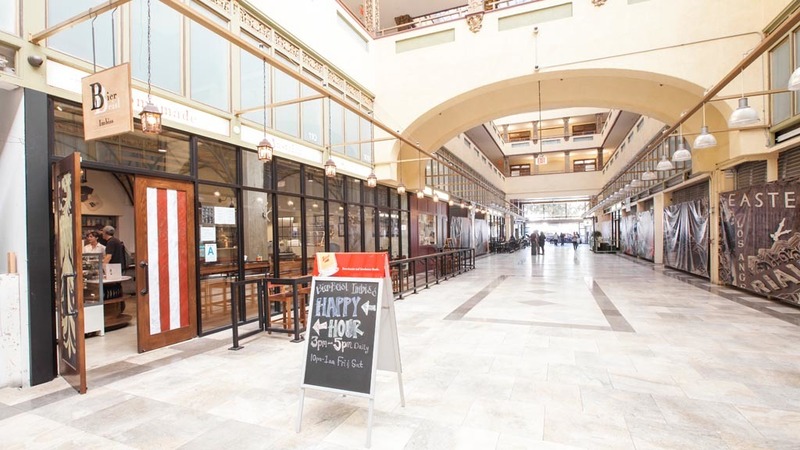 Buried in the heart of Downtown L.A. is this European-style food hall, which has operated on the ground floor of the iconic Homer Laughlin Building since 1917. 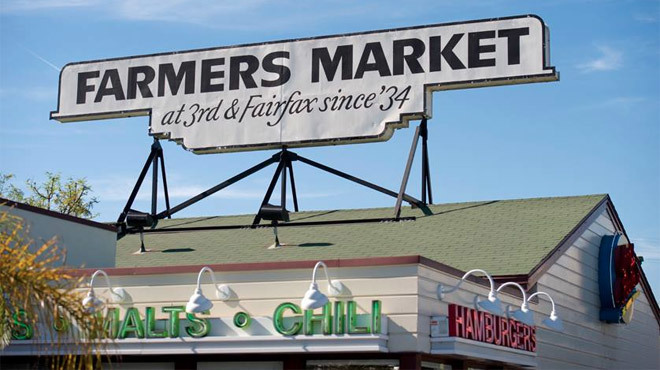 There’ve been plenty of changes throughout the years, with some prompting concerns about the gentrification that pushed out older stalls to make way for newer, flashier (and oftentimes more expensive) ones. But that doesn’t detract from the fact that the culinary talent here is strong. 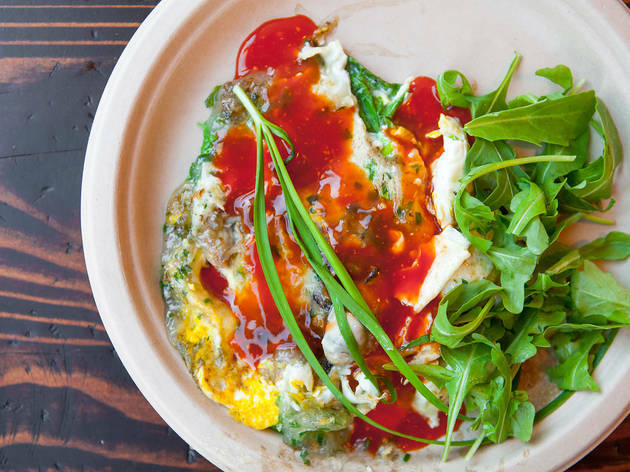 Visitors can choose from breakfast staples like Eggslut, Valerie at GCM and Sari Sari Store’s Filipino food from République owners Margarita and Walter Manzke. 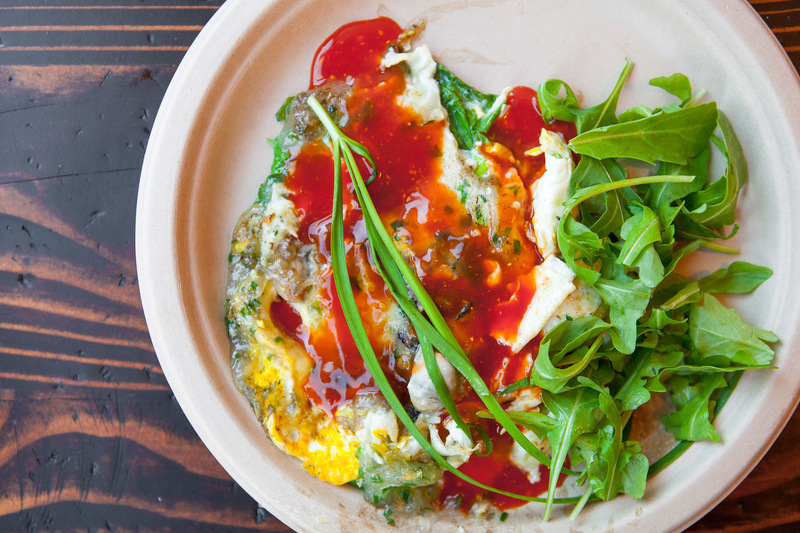 At lunch time, diners flock to Sticky Rice for Hainan chicken and tacos at Tacos Tumbras a Tomas, along with vegan ramen from Ramen Hood and freshly made pasta at Knead & Co. On warm summer nights, pick up BBQ at Horse Thief BBQ and sit out on the patio, then follow it up with a beer at Golden Road Brewery or a glass of wine and some oysters at The Oyster Gourmet. Walk through 4th Street Market and you may think, at first, that this food hall is on the small side. But there’s plenty packed into the Santa Ana market, including around 15 vendors serving everything from falafel to pho to ice cream sandwiches. First, though, you need to stop by Alta Baja Market, a specialty food store and deli that highlights the flavors of California, Mexico and the American Southwest. 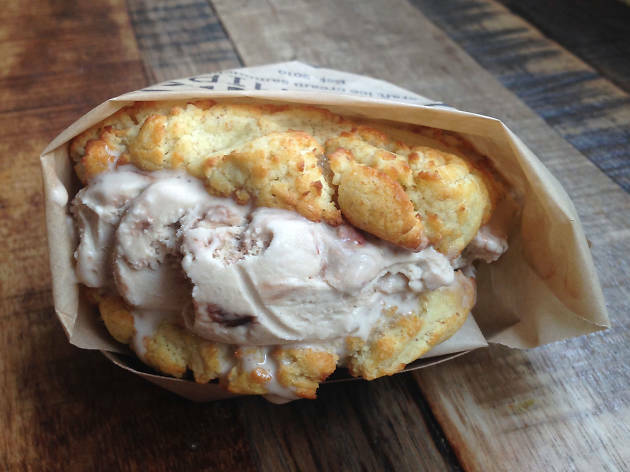 Then work your way around the food hall, stopping by Falasophy, Red Envelope, Front Porch Pops, Graze and others, including Chunk-n-Chip for some must-have ice cream sammies. An outdoor patio hosts occasional bands, while Recess invites visitors to kick back with some craft soda, a cocktail, craft beer or a glass of wine. Combining L.A.’s love of sports and food halls, the LAFC’s Banc of California Stadium just unveiled The Fields LA, a 200-seat dining hall sporting some of the city’s best restaurants, mom-and-pop operations and previews of concepts to come. 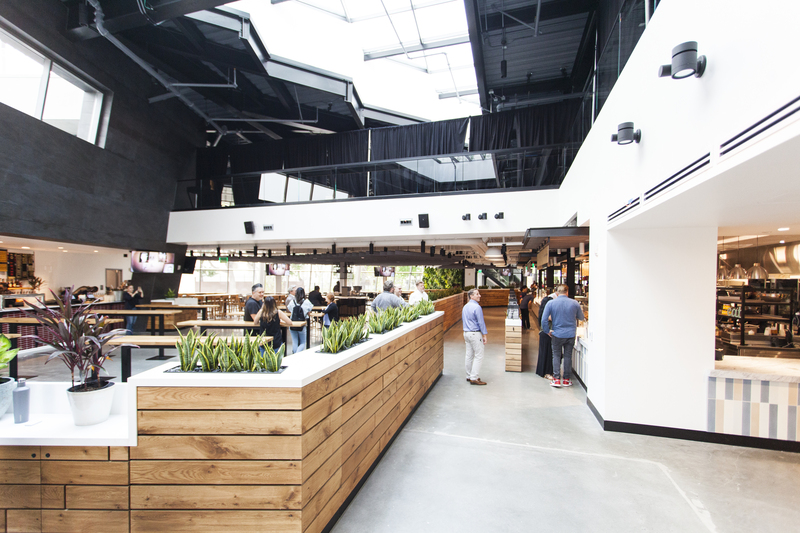 Open every day—game day or not—this hall offers multiple bars, an outdoor area and roughly 10 food vendors, ranging from world-class Middle Eastern food from a lauded Australian chef to the homegrown heroes of Burritos La Palma. Coni’ Seafood has a stand, as does dumpling shop Ms. Chi, and a new fried-chicken concept from Otium’s chef Timothy Hollingsworth. 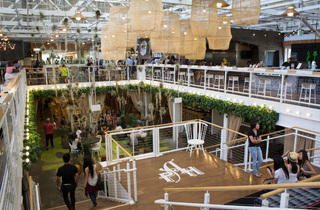 Anaheim is no longer just for Angels games and Disneyland trips, thanks to the arrival of the Anaheim Packing District. 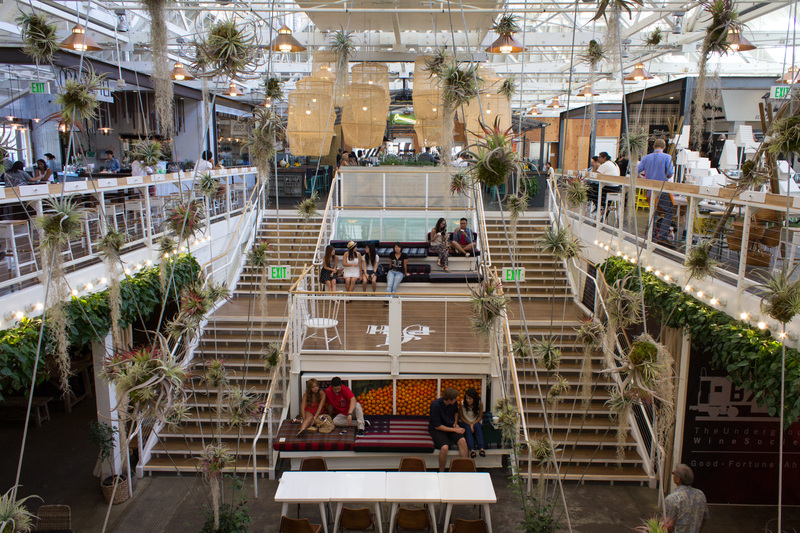 Split up into three revamped destinations, the block-sized district is anchored by the Packing House, a former Sunkist citrus plant that’s been converted into a handsome, modern food hall. The roster of merchants runs the gamut from full-service restaurants to niche vendors that specialize in grilled cheese, hot pot, juice, popsicles and more. Think of it as Orange County’s answer to Grand Central Market, albeit boozier—there’s a bar and speakeasy—and more inviting thanks to comfortable seating, free Wi-Fi and a lofty, bright warehouse space. On the other end of the district sits the Packard Building, a mission-revival car showroom that now houses the Anaheim Brewery and an Umami Burger. 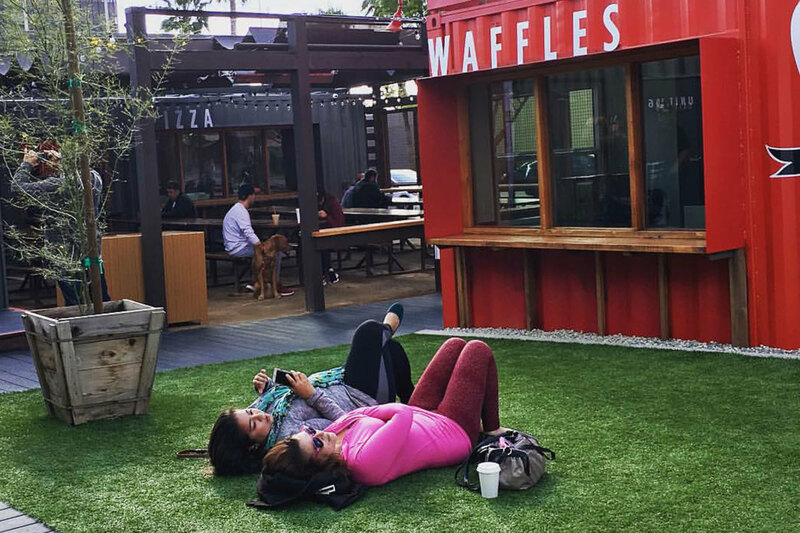 Between the two you’ll find Farmers Park, a two-acre grassy field with a community garden and a dim sum restaurant. Surprise, suprise: This place is pretty popular, so expect to park in one of the surrounding parking lots during lunchtime. Far East Plaza looks unassuming from the outside, but step into the corridor of this Chinatown shopping mall and you’ll find a food hall overflowing with local character. At lunchtime, people line up for Nashville hot chicken at Howlin’ Ray’s, bowls of rice and pork belly at Chego, bao at Baohaus and Taiwanese street food at Lao Tao. Coffee is poured at the sleek Endorffeine coffee shop, while dessert comes in the form of artisanal ice cream at Scoops. Looking for more formal dining options? LASA is a sit-down restaurant serving modernized Filipino food, like pancit, lumpia sariwa and crispy duck arroz caldo, while Kim Chuy, a casual family-owned Chinese-food diner, is one of the plaza’s sit-down-restaurant originators. If all these creative eats inspired you to make your dinner, stop by Now Serving, one of the city’s best kitchenwares and cookbook shops. 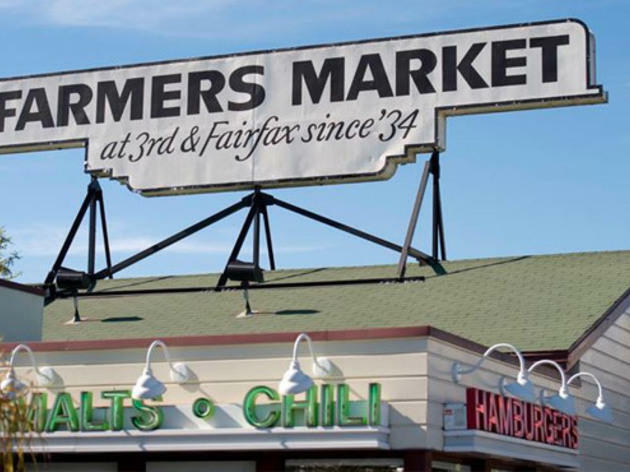 Back in 1934, local farmers began selling produce at the corner of 3rd and Fairfax, a corner that has come to be known as the Original Farmers Market and a prime Grove-adjacent dining hall. A handful of stalls still sell groceries, but they’re outnumbered by catering stands offering a culinary round-the-world trip. Alongside the American comfort food served at the historic, 24-hour Du-Par’s restaurant, you can get everything from Texas barbecue (Bryan’s Pit Barbecue) to Pan-Asian skewers and salads (Singapore’s Banana Leaf), New Orleans po’ boys (the Gumbo Pot) to sunny Mexican fare (Loteria Grill). 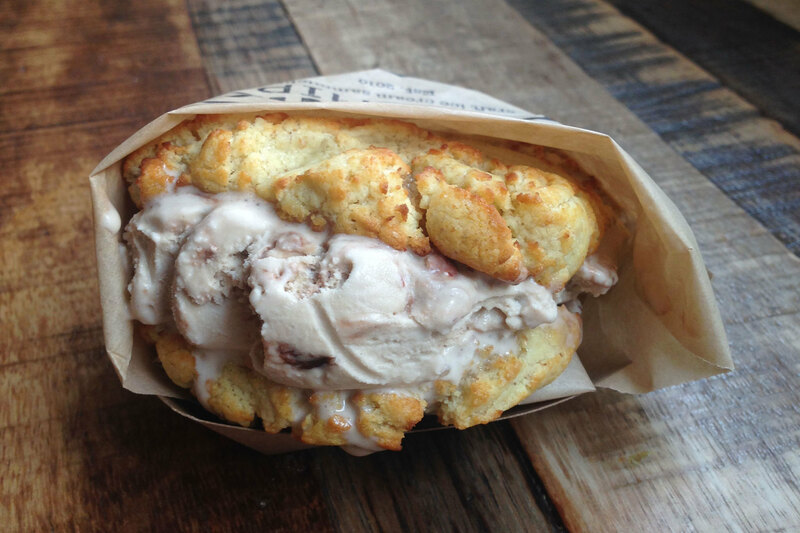 For dessert, you can’t beat Bennett’s Ice Cream. Make sure to stop by Light My Fire, a shop packed with hundreds of different hot sauces. 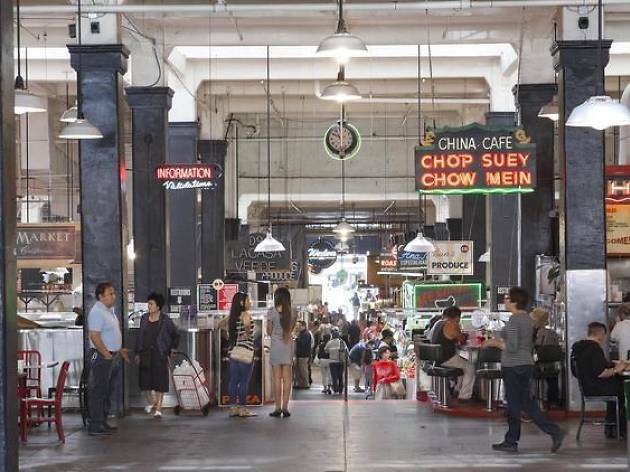 Small but carefully curated, Corporation Food Hall offers some excellent near-hidden vendors tucked away in DTLA. Less bustling than GCM and less airy than Spring Arcade, Corporation is a compact but humming collection of Middle Eastern falaffel shop Soom Soom; the genre-bending taco-and-burrito hub Tacos tu Madre; pasta shop Funculo; the Southeast Asian kitchen of Buddha Belly (see: pad see ew and pork belly with fried egg); South City Fried Chicken, with its juicy birds worth clucking about; and Pig Pen Delicacy, your destination for indulgent tots and bacon-laden burgers. There’s even an enclosed outdoor patio, which is prime for Downtown people-watching. 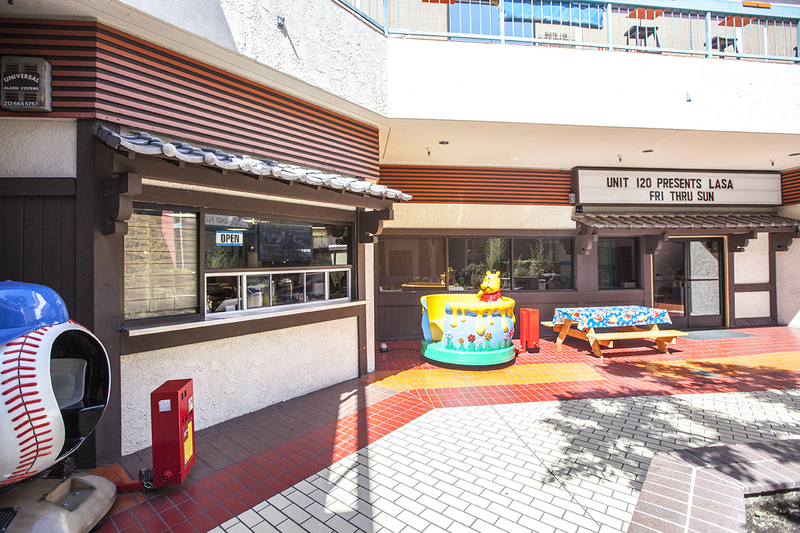 Lot 579 is a food hall adjacent to Pacific City, a Huntington Beach retail complex just steps away from the ocean. 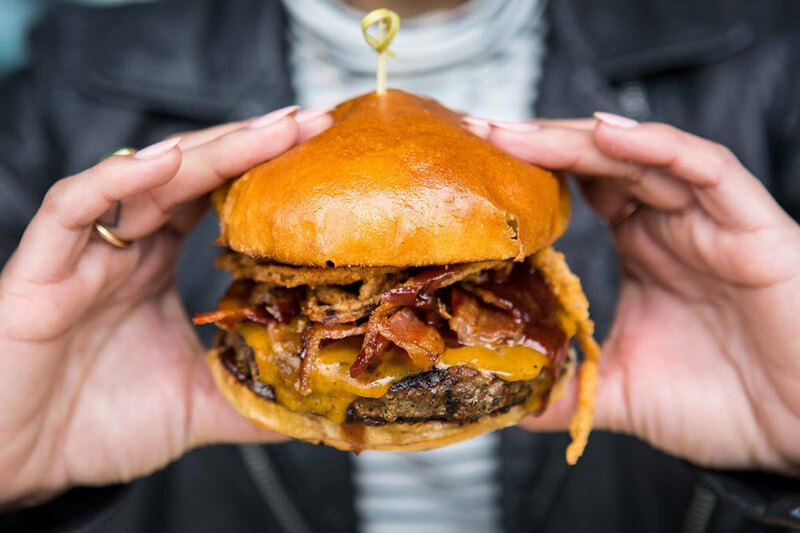 Tuck into burgers at the American Dream, fresh fish at Bear Flag Fish Co., Aussie-style pies at Pie-Not and artisanal sandwiches at Burnt Crumbs. There’s plenty here for those with a sweet tooth: popsicles at PopBar, ice cream at Hans’ Homemade Ice Cream and cupcakes at Frosted Cupcakery. And if you’re looking for an innovative floral arrangement, Petals & Pop can transform your vision into something beautiful. 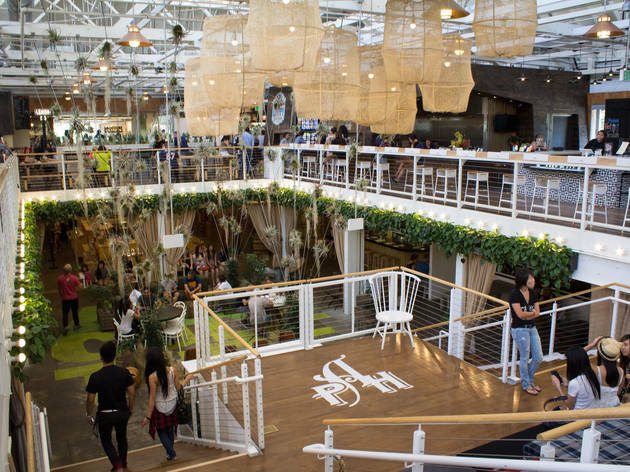 This modern food hall took over an unlikely strip mall—read: tons of parking. Enter into the open-air food court, where most of the concepts face inward toward a tree-dotted courtyard. Catch families and people of all ages Instagramming their food here—Trade’s vendors are just as eye-catching as they are delicious. Whether you’re looking for rainbow-dipped Belgium Liege waffles at Sweet Combforts, massive fried chicken sandwiches from Two Birds or burgers on mac-and-cheese buns from Ground House, Trade has something perfect for you (and your camera roll). 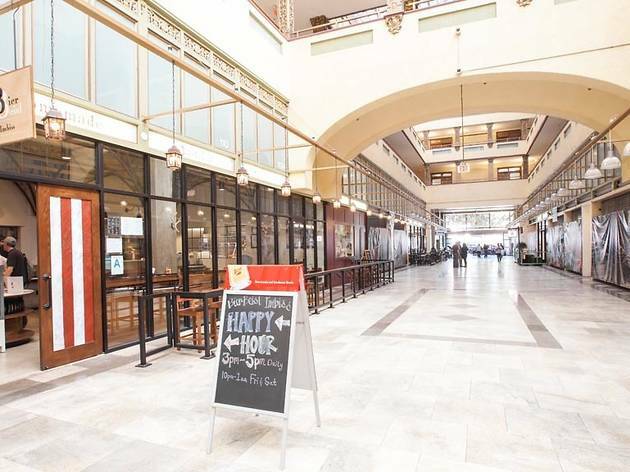 Enter the terra cotta archway of this 1924 arcade and you’ll find a glass-roofed alleyway dotted with restaurants and shops. The crowds are still light—it’s no Grand Central Market competitor, at least not yet—but the food offerings are already strong. Stop by Guisados for a chorizo taco and some horchata, or Cuban coffee, pastries and sandwiches from Don Francisco’s. Green Grotto Juice Bar doles out juices and acai bowls, while Gelateria Uli has some of the city’s best gelato. If you’re in the mood for a glass of wine, step into Garçons de Cafe, a wine bar and boutique that instantly transports you to Paris, or the newer Clayton’s Public House, a Victorian-themed gastropub with 32 craft beers on tap and a patio. 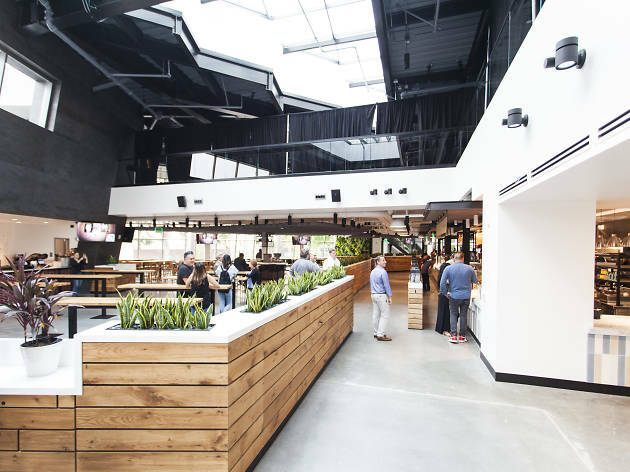 Restoration is the key word at SteelCraft in Long Beach, where meals are shared on communal tables made from reclaimed wood and bike racks are made from 95-percent recycled material. 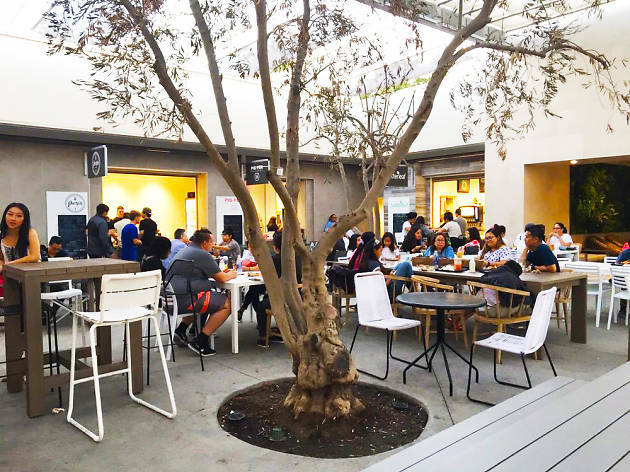 Each restaurant or bar in this outdoor food court is operated out of repurposed metal shipping containers from the Port of L.A. and the Port of Long Beach. 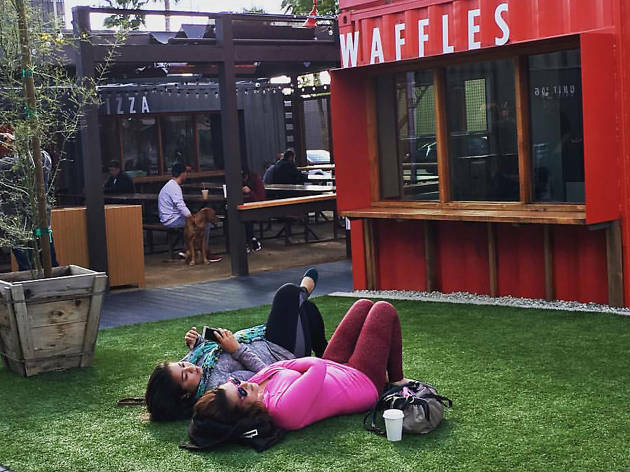 While restaurants rolled out gradually, the space in now home to Hollywood’s DeSano Pizza Bakery, Pig Pen Delicacy, Belgian waffle specialist Waffle Love, San Diego’s Tajima Ramen, Hawaiian shaved-ice shop The Fresh Shave and even a flower shop. Smog City Brewery pours beer at a container as well, and cups of java can be ordered from Steelhead Coffee. 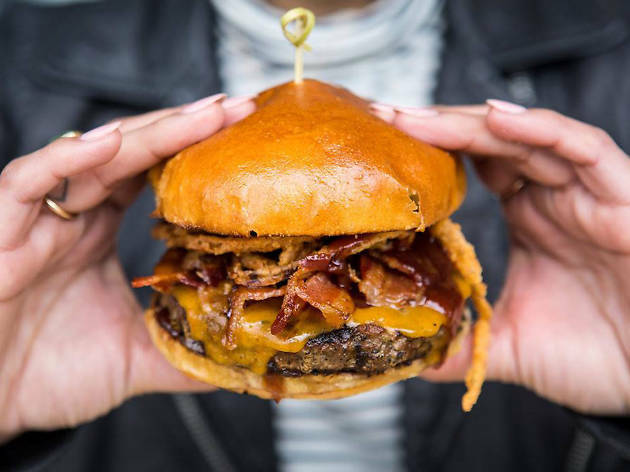 Keep an eye out for events happening at SteelCraft, like beer and chocolate pairings, and keep your other eye out for two new Steelcraft food halls coming soon: in Bellflower and Garden Grove. Far East Plaza is serving some of the best food in Chinatown.